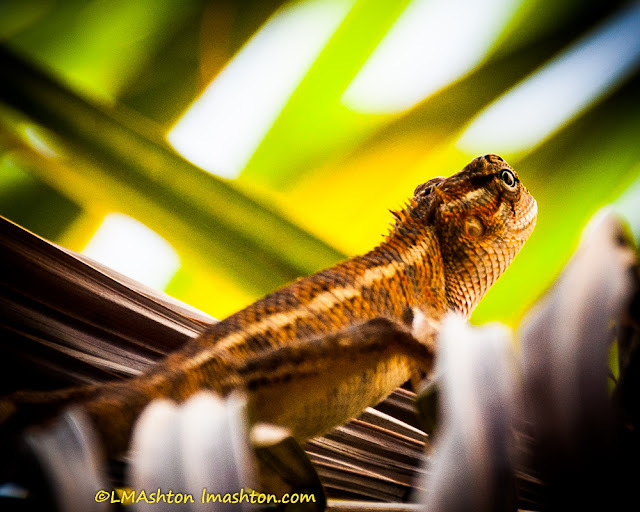 At our house in Sri Lanka, we&#39;d see chameleons in our yard every now and then. Sometimes every day for a month or two, sometimes not for months at a time. But then, these are chameleons after all, and who&#39;s to say they weren&#39;t always there and just better at hiding on some days than on others? 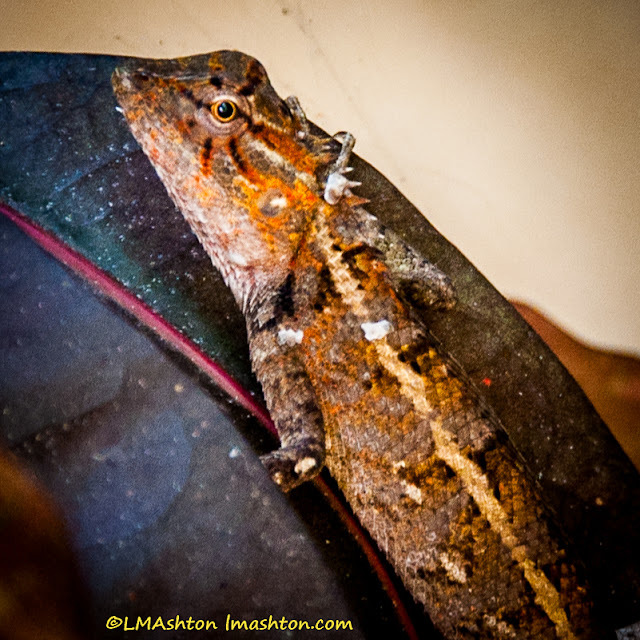 At any rate, here are some of my favourite photos of the chameleons that visited us/made our yard their home. This chameleon above is sitting on a croton leaf, one of its favourite spots. 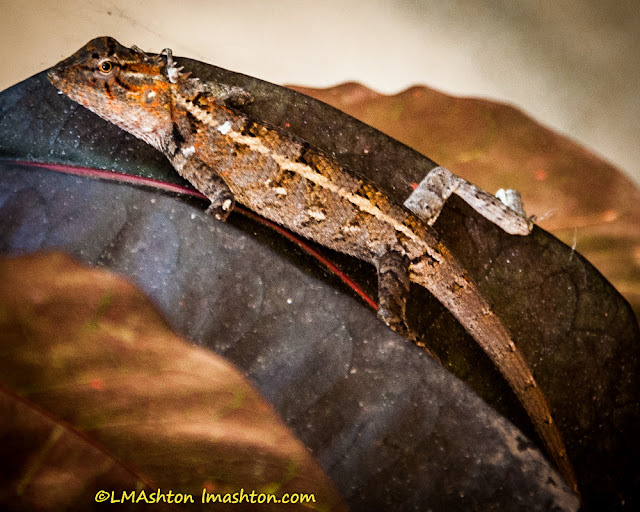 Another view of the chameleon on the croton leaf. 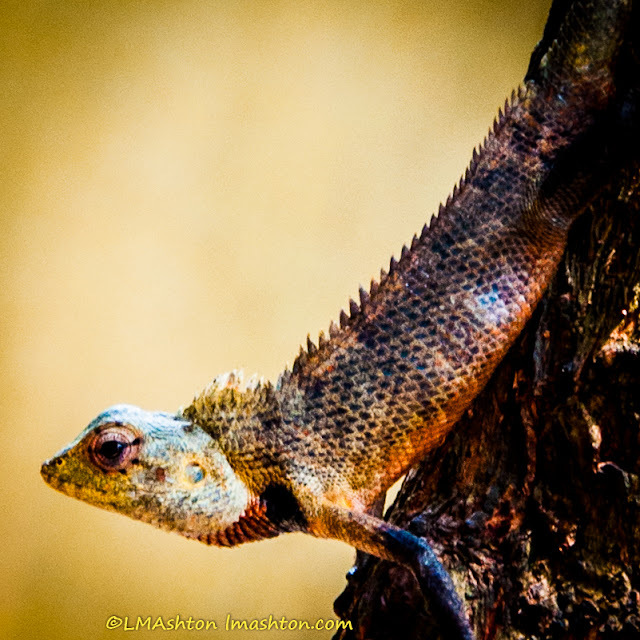 This chameleon is on the trunk of our jambu tree, another favourite spot for the chameleon. 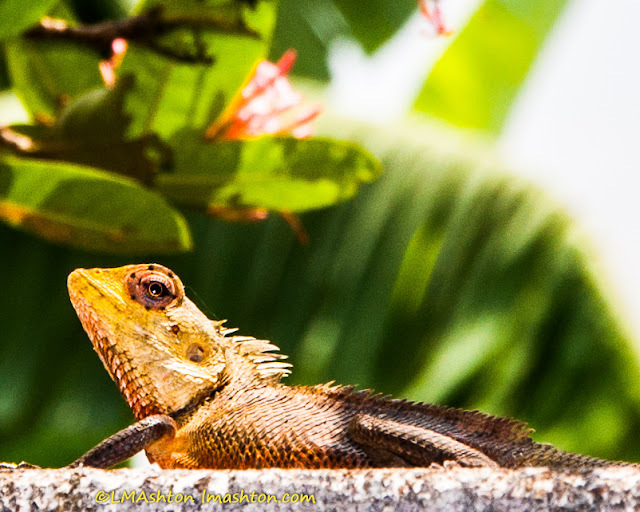 Here, the chameleon is sunning himself (herself?) on the top of the wall separating our property from the next door lot. 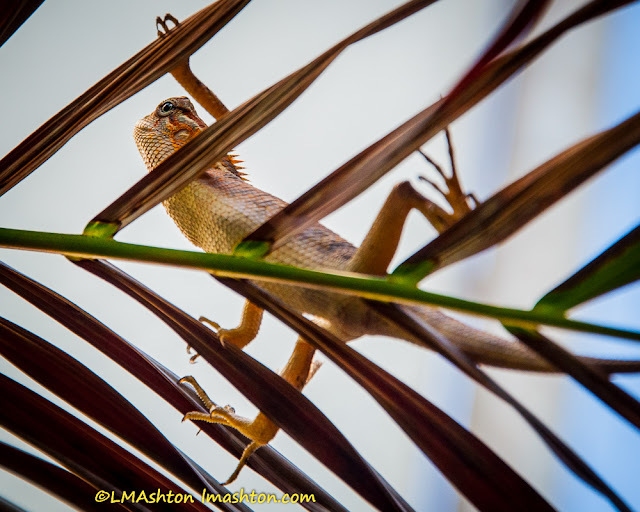 Underside shot of the chameleon parked on a dried-out palm leaf. Same leaf, but another vantage point. Another winning entry from Oldest Daughter. She thinks you are a fantastic photographer, and the chameleons too cute for words.